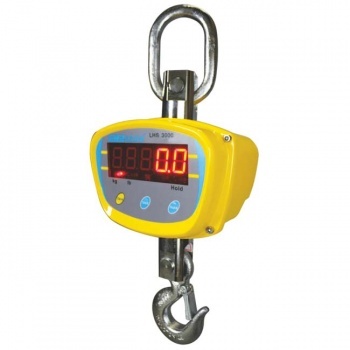 Adam LHS hanging scales offer shipping and production operations a strong and safe solution for weighing heavy loads. Ruggedly constructed to perform dependably in industrial settings, the LHS boasts cast aluminum magnesium indicator housing, chrome-plated steel hook, safety catch and oversized swivel shackle and bolt. The hook and shackle rotate, giving complete flexibility. 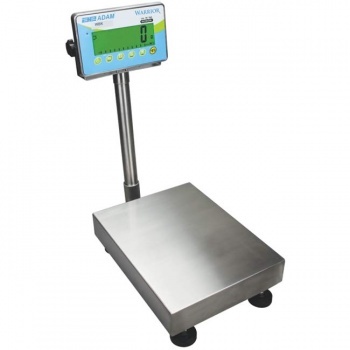 A standard remote control allows safe and simple operation of the scale. 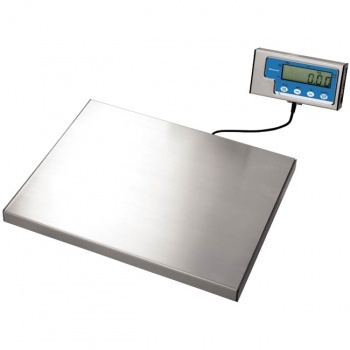 Readings are shown on a bright-red LED display, making them visible in any lighting conditions. 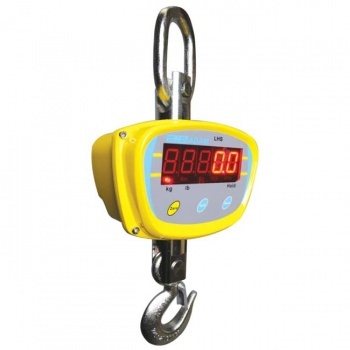 The hold function retains the reading on the display after the weight is removed from the scale, allowing time for the operator to record the value.